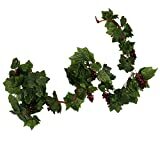 Grape vine growing vine of the genus Vitis and also known as Grapevine or Vitis vinifera, Grape vine perennial deciduous plant also used as ornamental plant, grow in mediterranean, desert, subtropical, temperate climate and growing in hardiness zone 4-11. Leaves with noticeable veins, 3-5 lobes and serrated edge. Flowers are small and green growing in a cluster. 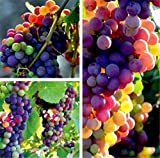 Fruit rind color can be: purple, pink, green or yellow, the inner fruit is purple or green, the purple grapes are sweet or sour. Pinot Grigio Wine Grape Vine - Plantable Year-Round! 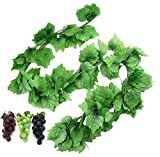 What can be done with big quantities of Grape vine fruits? 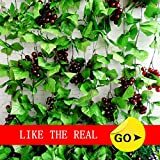 How to make Vegetative Reproduction in Grape vine? What is the treatment for vegetative reproduction in Grape vine?